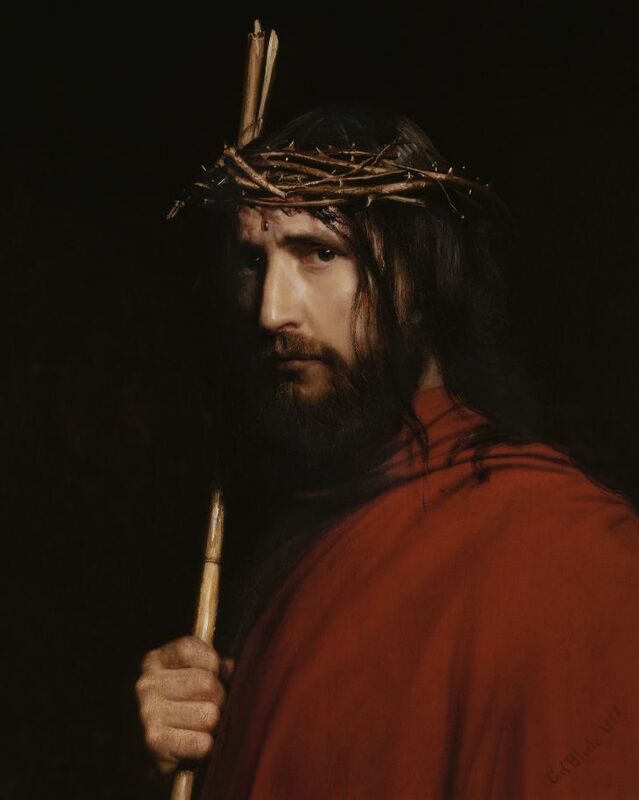 There are no contemporary portraits of Jesus. 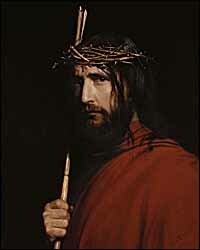 No one knows for sure what he looked like when he walked the dusty roads of Galilee and Judea in the First Century. But hundreds of artists have painted their own vision of what Jesus looked like. I've included some of the best of these here. I have avoided for the most part depictions of Jesus in the context of events of his life, which is a huge task by itself. Instead I have focused on portraits. 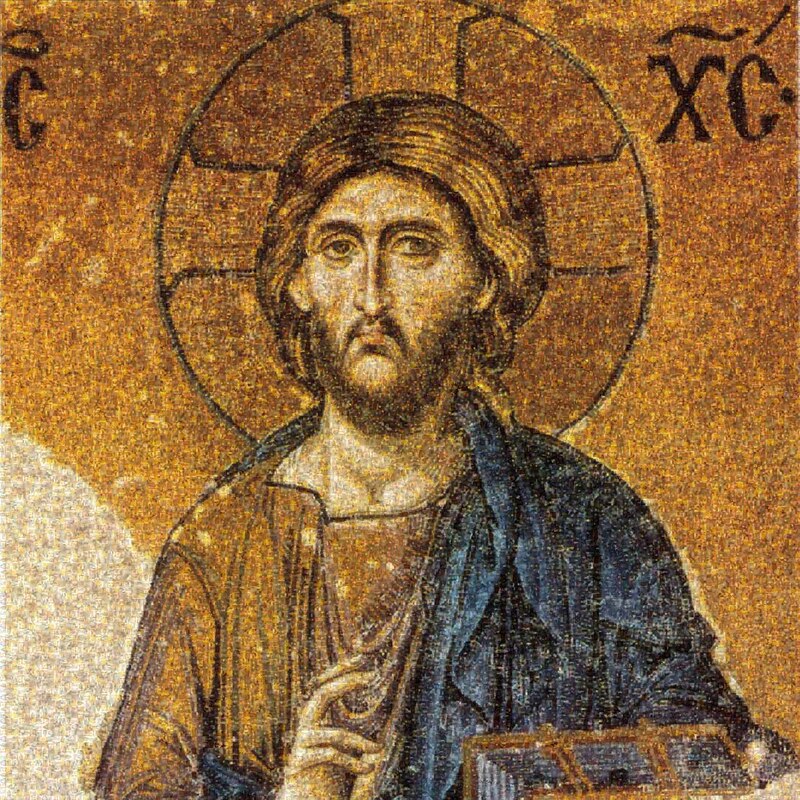 Christ Pantocrator, Monastery Church, Daphni, Greece, 11th century, mosaic. Christ Pantocrator, Lord of All, is a characteristic icon of churches in the East. In the East, especially in India, the stupa, a square base surmounted with a dome, emerged as the basic architectural form for religious worship. This was adapted by the Eastern Byzantine Church and became the official architectural form for the Divine Liturgy. The square base represented the earth with its four corners and the circular dome the heavens above. 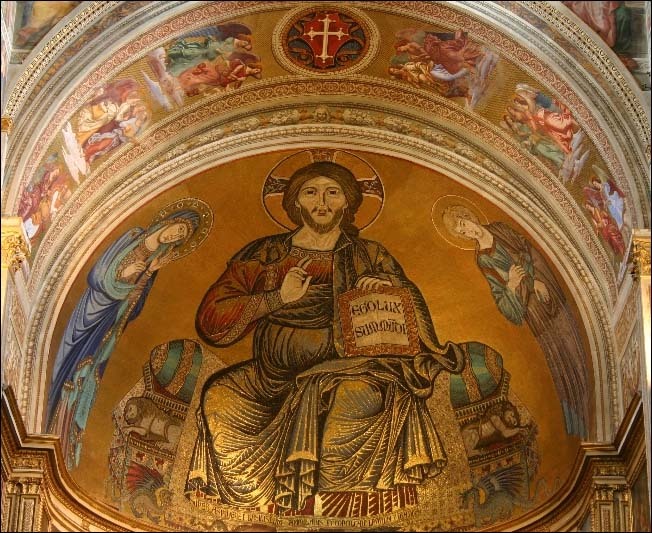 At the center of the dome was the Christ, Jesus as Pantocrator, Lord of All. 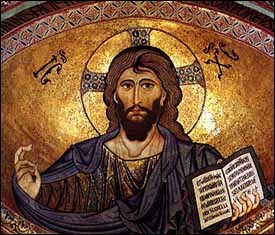 In many of these pictures, Christ with three-rayed halo, gives a sign of blessing with his right hand, and in his left hand holds the Bible. Often Christ has long, thin fingers. The letters IC and XC (with bars above them to represent a contraction) to the left and right of Jesus' face stand for IC (abbreviation of Jesus) and XC (abbreviation of Christos). (The C represents the Greek letter Sigma Σ). 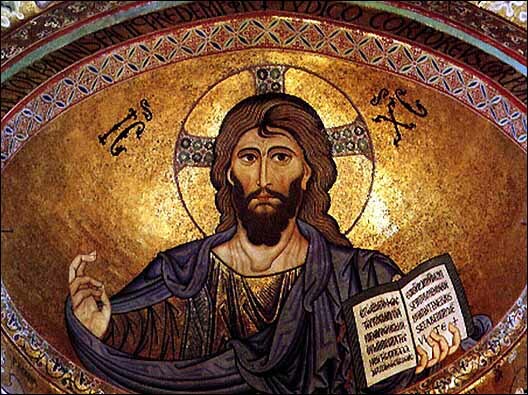 You can see literally hundreds of these icons by doing an image search on "pantocrator" in either Yahoo or Google. Here are some I particularly liked. Mosaic from the Deesis Panel of the South Gallery of the Hagia Sophia (1185-1204). Larger image. Hagia Sophia mosaic from the Deesis Panel of the South Gallery of the Hagia Sophia (1185-1204) in Constantinople, now Istanbul, and converted to a mosque. A website exists on this mosaic: http://www.pallasweb.com/deesis/index.html The entire panel is 19.5 x 13.5 feet, and was found under layers of plaster in 1934. St. Antony's Greek Orthodox Church, 778 S. Rosemead Blvd., Pasadena, CA. Modern example of dome and Christ Pantocrator. Oldest icon of Christ Pantocrator, encaustic on panel, c. 6th century, St. Catherine's Monastery, Mt. Sinai. Larger. James J. Tissot, Christ Pantocrator, asp of convent church, Couvent de l'Annonciation, 222, rue du Faubourg-saint-Honor�, 75008 Paris. Christ Pantocrator (1148 AD), mosaic, dome of Cathedral of Cefal�, Palermo, Italy. Larger image. 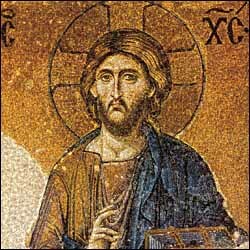 A Western depiction of "Christ in Majesty" is similar to the eastern Christ Pantocrator. It is often found on the aspe of churches or above the door of a cathedral. Church of Sant'Angelo in Formis, Capua, Italy. 12th century fresco. Pisa, apse mosaic, Duomo, Pisa. Another. Tympanum over the central portal (west front) of the Chartes Cathedral, France. Christ in Majesty is flanked by four living creatures and the 24 elders of Revelation 4 and 5. Built 1145, burned (except the west front) 1194. Rebuilt 1205-1220. Christ in Majesty (781). Godescalc Manuscript. Christ in Majesty, stained glass window, Carmel of the Holy Trinity in Spokane, WA. Christ - the Patron of Prizren, The Church of the Holy Virgin of Ljevis, fresco. Christ, 5th century mosaic, survived the fire of 1823. Rome? 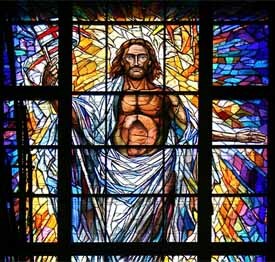 Detail of 'Resurrection' stained glass window, Co-Cathedral of the Sacred Heart, Houston, 2008, full size is 40ft x 20ft. Designed and constructed by Mellini Art Glass and Mosaics in Florence, Italy. Photo © 2010, Lea McNulty, used by permission. Henry Ossawa Tanner (1859-1937), The Good Shepherd (1920), oil on canvas. The Newark Museum. Good Shepherd, Houghton St Giles. Same design at All Saints, Alburgh, Norfolk. Full length. 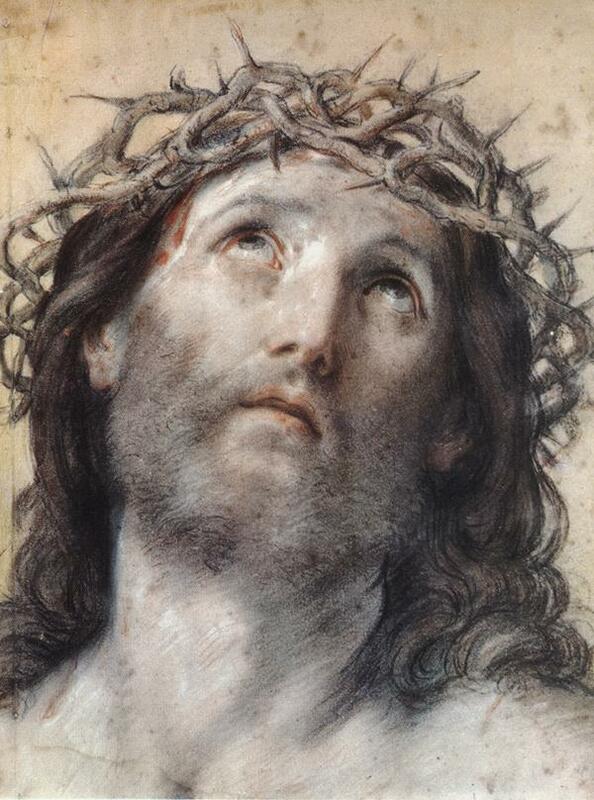 The Head of Christ (c. 1650-52), Oil on panel, 25 x 21.5 cm, Gem�ldegalerie, Berlin, Germany. Another. Head of Christ, Metropolitan Museum of Art, New York. Nikolai Kishelev, The Head of Christ (1880s). Face looking down. Mih�ly MUNK�CSY, Christ before Pilate (1880), Hungarian national Gallery, Budapest. Fra Angelico, Head of Christ, wearing crown of thorns, bleeding with halo in back, red shirt. Paul Delaroche (1797-1856), Study for the Head of Christ (c. 1834) for La Madeleine, Paris (Portrait of Eug�ne Buttura), National Gallaries of Scotland. Richard Hook (1914-1975), Head of Christ (sometimes mistakenly attributed to his wife, Frances Hook, who was also an artist). Feodor Rimsky, Christ's portrait, painted for the book cover of The Greatest Story Ever Told by Fulton Oursler. 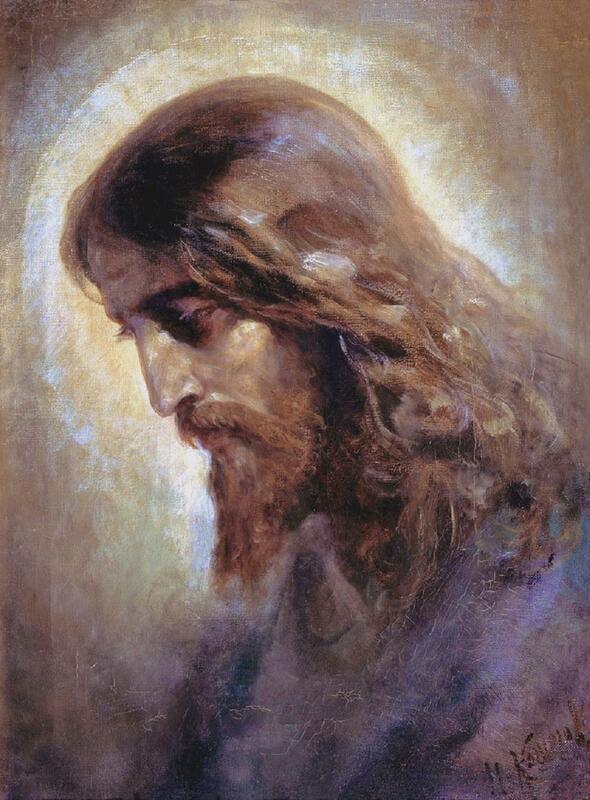 Morgan Weistling (California illustrator and painter, 1964- ), "My Lord and My God," portrait, face of Jesus covered by a white hair covering (John 20:27-28). 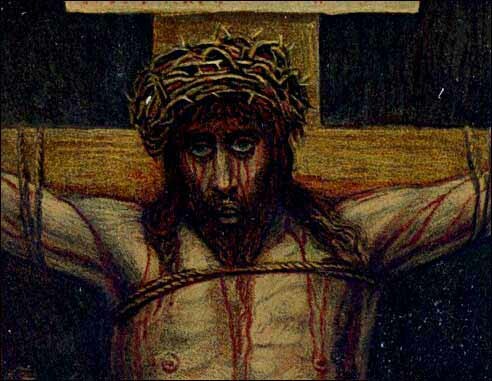 Man of Sorrows (1886-96), watercolor. Carl Heinrich Bloch (Danish painter, 1834-90), Christ and Staff, oil on canvas. Larger image. Carl Heinrich Bloch (Danish painter, 1834-1890). Most paintings in The King's Prayer Chamber, National Historic Museum, Friederiksborg Castle/Palace, Hiller�d, Denmark. also 111 paintings (some secular) in the Hope Gallery site. Christ and Staff with Soldiers, oil on canvas, altarpiece, Ordrup Church, Copenhagen. Christ and Staff without Soldiers, oil on canvas. Christ and Staff, Etching, Park City Gallery, Utah has an original. Christ and Thorns (eyes closed), Etching. 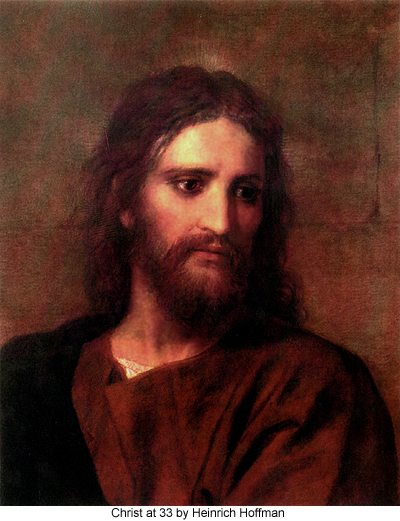 Portrait of Christ (etching), National Historic Museum, Friederiksborg Palace, Hiller�d, Denmark. Mark Cannon (contemporary artist), "Crown of Thorns"
Albrecht D�rer, Head of the Dead Christ (1503), a drawing. The British Museum. Janet Flom, Corpus, Transfiguration Catholic Church, Oakdale, MN. Bronz cold cast crucifix. 15.5" x 24". David J. Hetland Liturgical and Public Art. Guido Reni, Ecce Homo (c. 1639), oil on canvas, Pinacoteca Nazionale, Bologna. Often copied. Ludomir Slendinski (Polish painter, 1889-1980), "Christ" (1947), oil on canvas on plywood, 45 x 41 cm, Slendzinski Gallery, Bialystok. 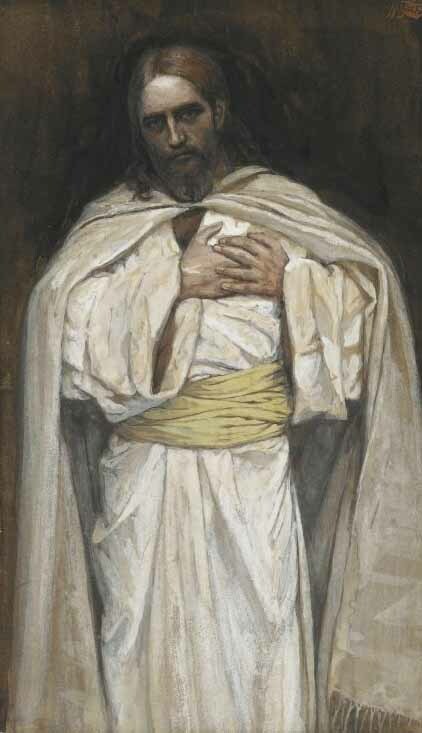 James J. Tissot, Man of Sorrows (1886-96), watercolor.